Portland Oregon preparing for Wall Street protests. Occupy Portland is a nonviolent movement for accountability in the United States government. 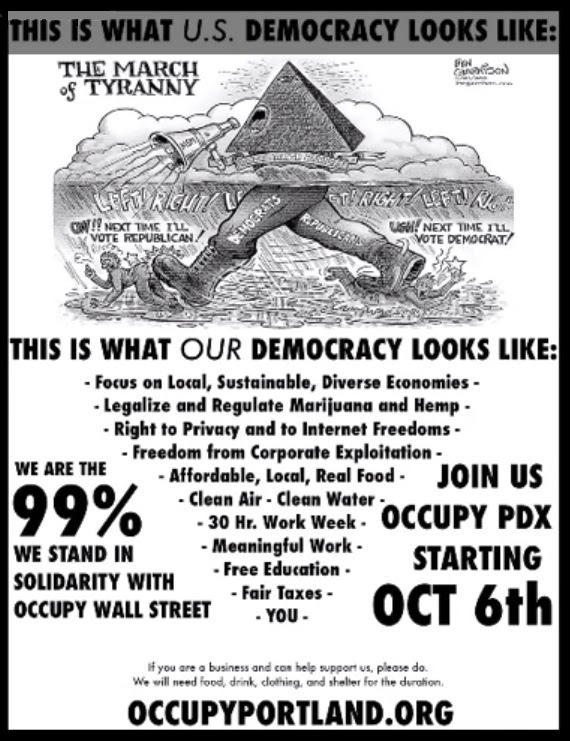 At 12PM on October 6th, 2011 we will assemble at Tom McCall Waterfront Park, 1020 Southwest Naito Parkway in Portland, OR.